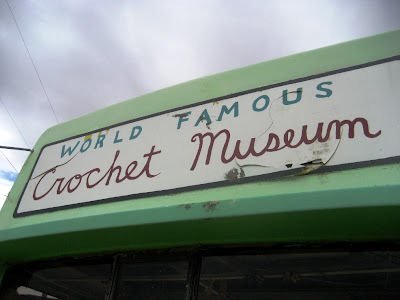 While we were visiting the high desert, I wanted to stop and see how the World Famous Crochet Museum was doing. 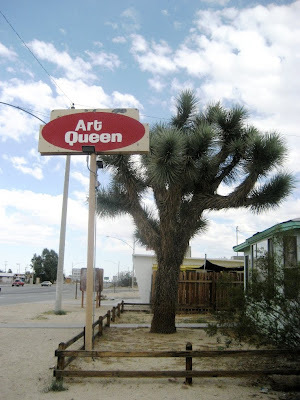 At the end of August, there were very bad wind storms in Joshua Tree and the surrounding areas. 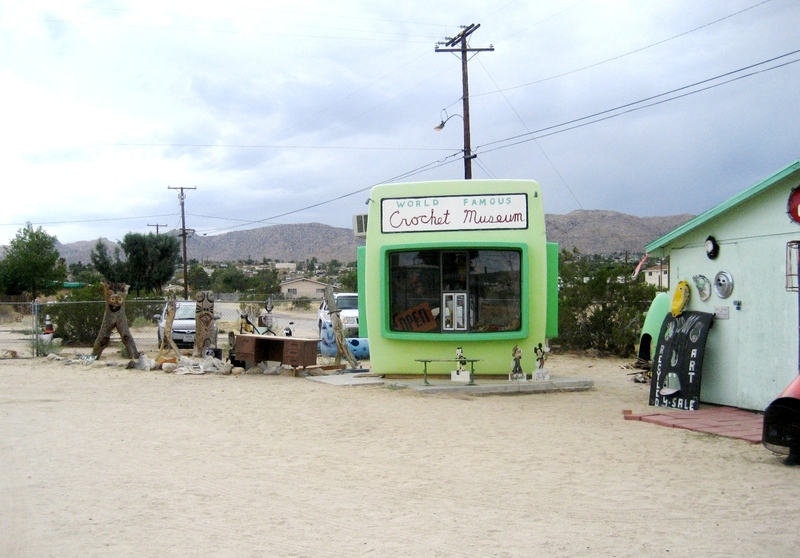 The little Crochet Museum building was blown over in the storm! The Museum is housed in an old Foto-Mat trailer and is made of fiberglass. I visited it in sunnier days and even donated my crocheted taco for the collection. 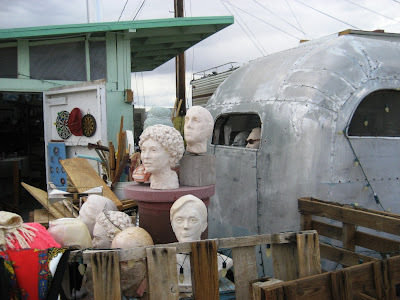 I was happy to see that the Museum had been set right-side up once again and bolted to its concrete pad! Curator, Shari Elf was present, working on the interior of the Museum. 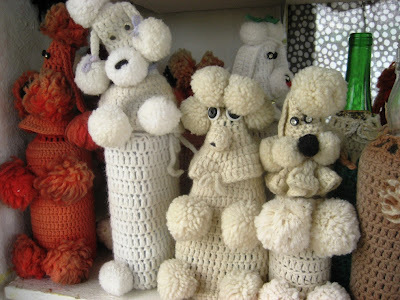 Many of the crocheted pieces were thrown around into the desert dust and sand, so Shari was in the process of washing and drying the artifacts. 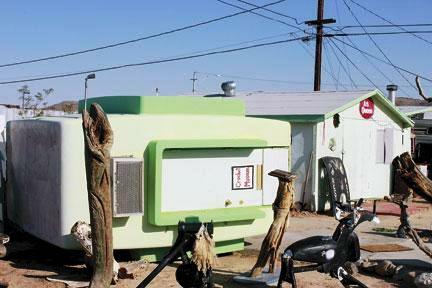 There is a crack in the back of the trailer, toward the sign at the top. Sigh. Next time you're in the area, do stop by and see the art installations in and around the World Famous Crochet Museum. 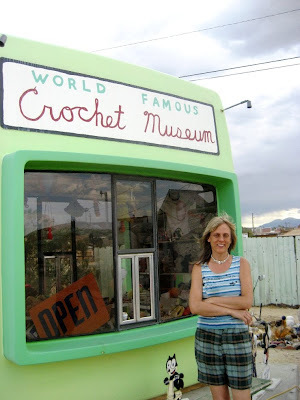 Oh, now we know your real reason for the trip to the desert....the crochet museum.